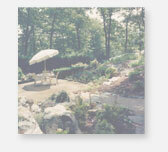 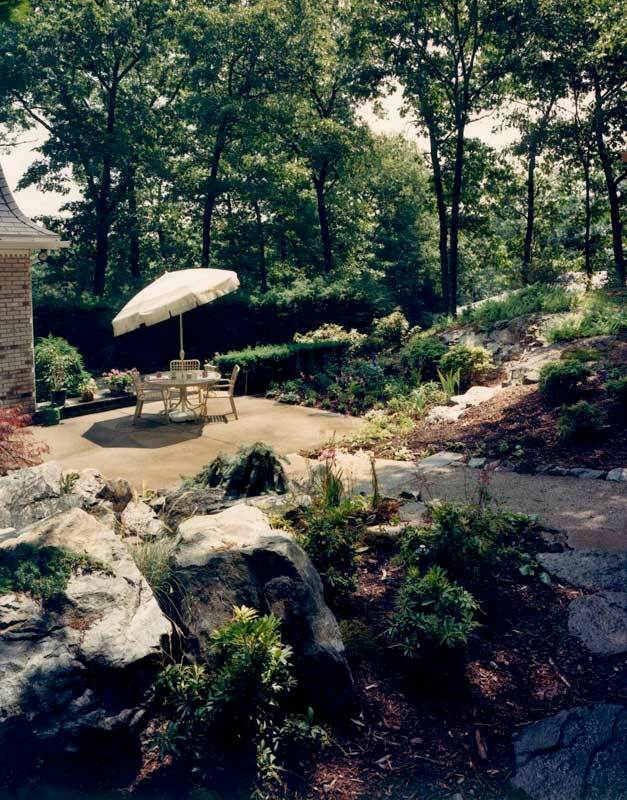 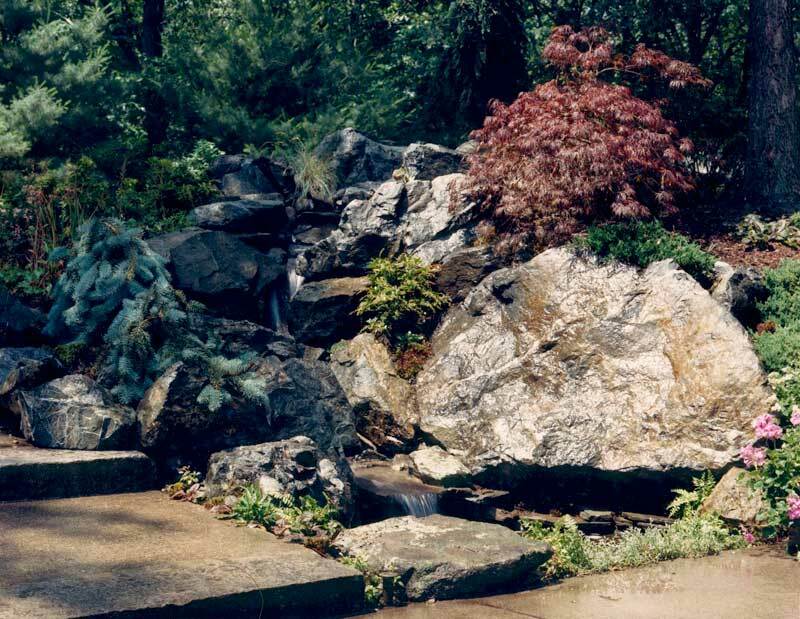 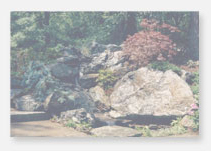 Design Objectives: Design a naturalistic waterfall for a short hillside next to an existing patio. 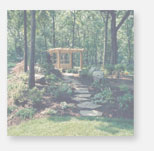 Design an all-season bloom perennial bed next to the existing patio. 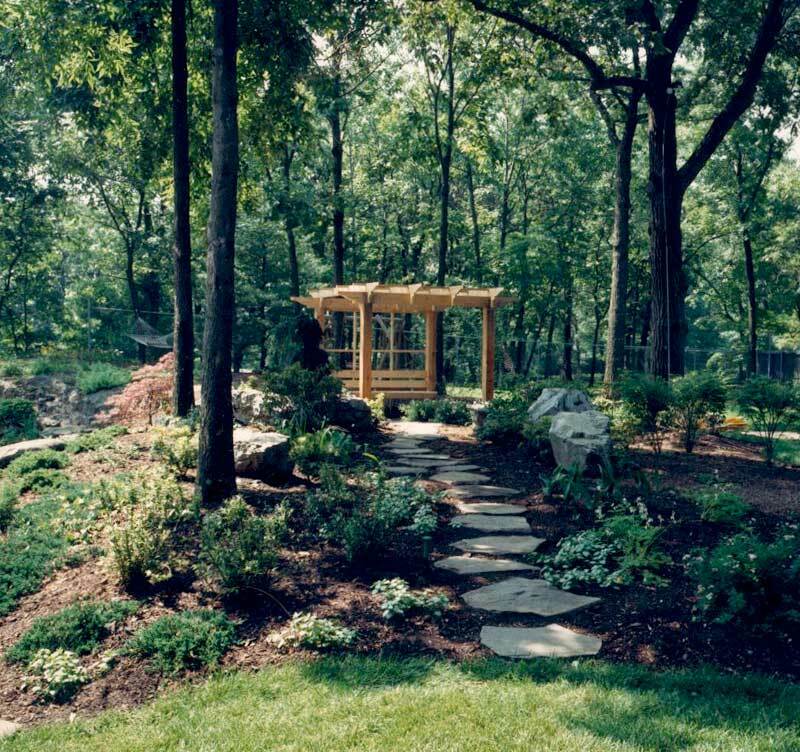 Plan a path through existing woods to the patio and incorporate an arbor along the path.